Daniel Nisbet posted a 6-under-par 66 on the South Course at Berkeley Hall Club to take a three-shot lead at the midway point of the Players Amateur in America. Nisbet is at 9-under-par, three shots ahead of Florida State’s Daniel Berger and four shots clear of first-round leader Bobby Wyatt of Alabama and Michael Weaver. Nisbet moved up from a tie for seventh at the end of the first round after opening with a 69, with his second round one of only three in the 60′s on Friday. It was Nisbet’s accuracy with the driver which enabled him to take advantage of the firm conditions and post the low- second round tournament number. “There was a few times yesterday where your ball rolls just off the fairway about one yard, and you’ve pretty much just got to advance it 20 yards,” said Nisbet about his opening round. New Zealand’s Ben Campbell and local Blayne Barber are tied for fifth at 4-under-par and Georgia Tech’s Anders Albertson is 3-under-par. Six players, including 2011 Junior Heritage champion Matthew NeSmith, are tied for eighth at 1-under-par. 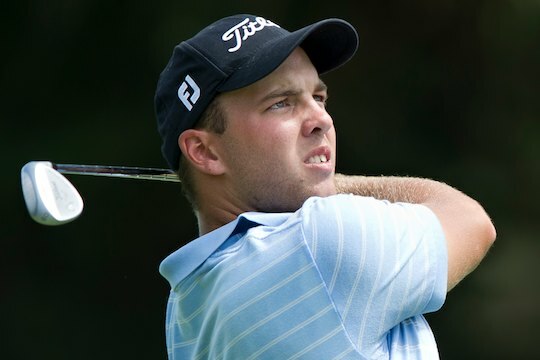 Ryan McCarthy is in a tie for 8th position at 1-under-par to be the next best Aussie behind Nisbet, a stroke better than Brett Drewitt who is even with the card and in a share of 14th position. Geoff Drakeford is a 1-over-par to be in 19th position, a stroke ahead of Rory Bourke. Rounds of 73-75 sees Jake Higginbottom in the middle order at 4-over-par and in a tie for 33rd position along with Cameron Smith who fired rounds of 72-76. Matt Stieger opened with a 3-over-par 75 to follow with a 73 to be also in a tie for 33rd position. The only Australian to win the Players Amateur was Aron Price in 2004 with past champions including former British Open champion Ben Curtis, Rickie Fowler, Camilo Villegas and Corbin Mills.